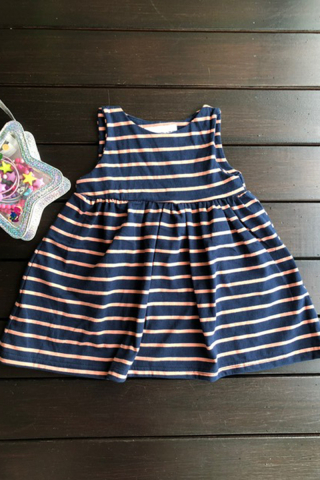 A stunning number that you can twin with your little one! Crafted with a reversible top, wear the faux wrap top front or back for completely different looks. Non sheer, side zip for easy fit. Pit to Pit 11" 12" 13" 14"
Waist 10.5" 11.5" 12.5" 13.5"
Length 23" 25" 27" 29"